John Sendelbach Metal Stone Arts: The Blue Rock Restaurant is OPEN ! 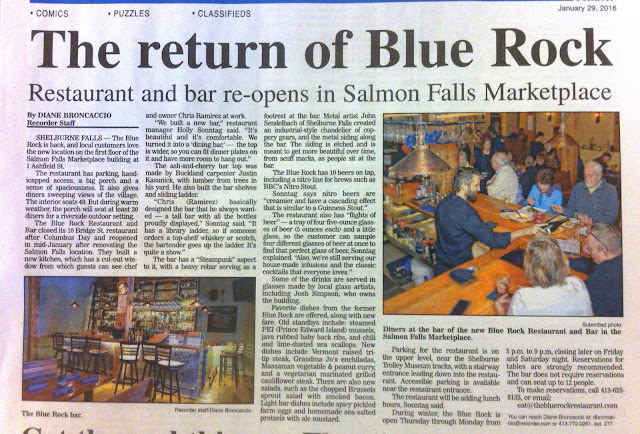 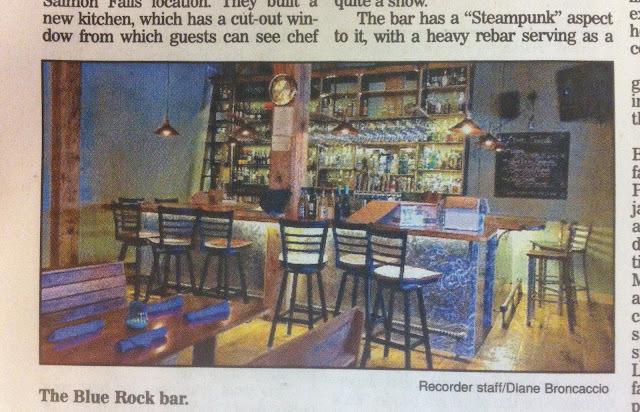 I had the pleasure of assisting Chris and Holly with the accessorization of the Blue Rock Restaurant in Shelburne Falls. Got a mention in this Recorder article.